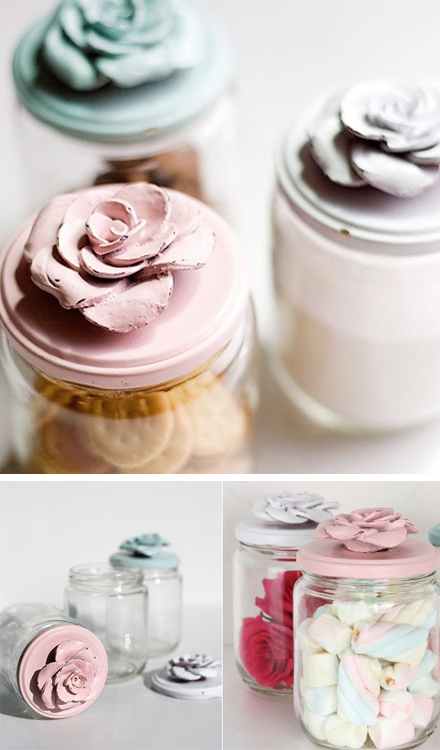 I must have these jars from romanticPink. They come in pink, white and mint. What a perfect name for that shop..
these are the most perfect candy storing devices in existence. these are pretty! the photos are wonderful too. Oh my goodness. These are so so romantic! You could put the most ordinary thing in here and they'd look wonderful. such prettiness! they are so sweet. lovelove the colours of these! + also love the new layout over here! thanks Claire! I'm glad you like the new look! !